I've been baking for the last 6 years. I've come a long way since I first started out. I can proudly say that I can whip up some mean baked goodies all from scratch. However, these mostly comprised of tea cakes, pies and cookies. Last weekend I had to throw together some goodies for a birthday party thrown for 2 of my favourite nieces. It was a costume party and my elder niece decided that she wanted to dress as a mermaid while the younger one wanted to be a little dalmatian puppy. I obviously couldn't take them a tea cake and had to look at doing something a little more fancy. 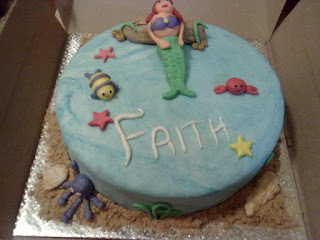 My next challenge was to figure out how to put a mermaid and a little puppy on the same cake. Since I couldn't figure out how to merge both characters on one cake, I simply decided to bake them a cake each. Here's a peek at what they looked like. These were unfortunately taken using my mobile phone as my camera battery had died out. But their dad managed to get some good shots. Will update those as soon as I get them. Both were chocolate cakes made using Nigella's Old Fashioned Chocolate Cake recipe and were covered in fondant. 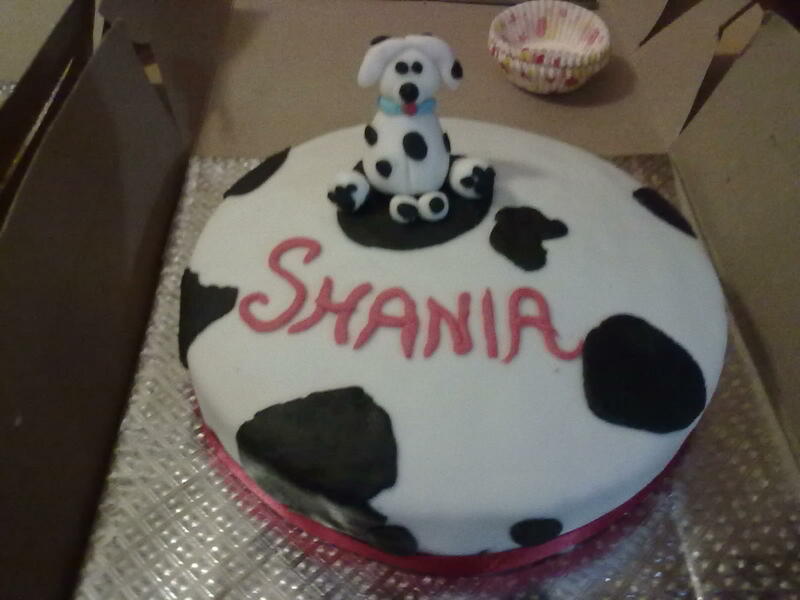 All the little characters were also made of fondant. So here you go. These are my very first fondant covered cakes with little characters all made from scratch. Both designs were inspired from images seen on the web.